Most routers, including AirPort, will have DHCP turned on. 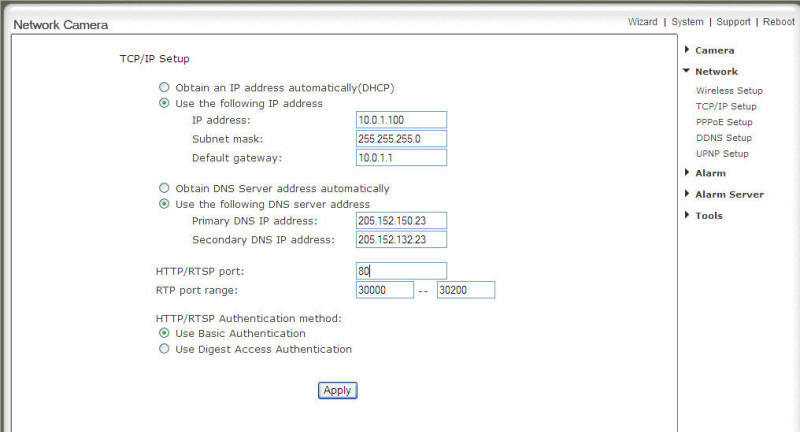 DHCP is a protocol for assigning dynamic IP addresses to devices on the local network meaning that if you plug the Network Camera into your router it will be given an IP address automatically, since DHCP is the default mode for the network camera. At times, the router is not accessible for "wired" connection, so instead, what you need to do is plug the camera directly into your Mac. To do this successfully you have to use a crossover cable. A crossover cable is an Ethernet cable wired differently to allow two network devices to communicate directly without having to go through a router or switch on the network. This cable can be purchased from any computer store. The first step is to connect your Network Camera to your Mac using a crossover cable and turn on the power to the camera and boot up your Mac. Important: Before you change the IP address of your Mac please make note of the original settings, as you will need to change back to those to regain access to your network/internet. 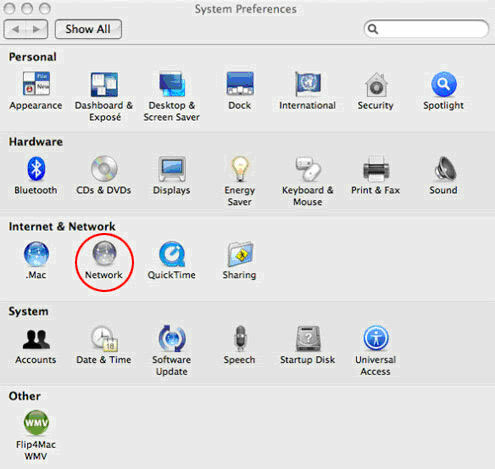 Why do I need to change the IP address of my Mac? 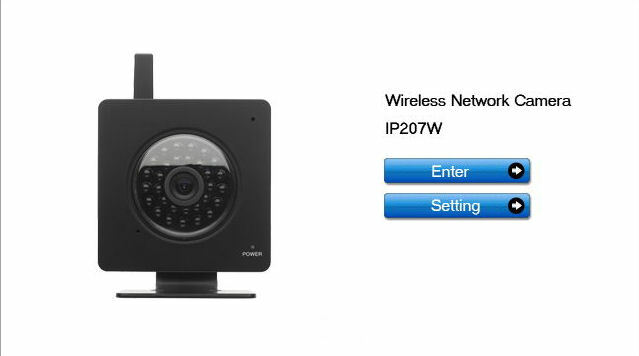 Well without getting too complicated, if your Mac is on a different range of IP address (subnet) than the Network Camera then you will not get a connection to the camera. For example, the Network Camera has a default IP address of 192.168.168.100. The 192.168.168 part of the IP address is the ‘network’ address and the .100 is the number associated with the ‘host’, or device. If your local network has a network address of 192.168.0.x then it cannot communicate with any device on a 192.168.168.x network. So we need to put your Mac on the 192.168.168.x network so it is compatible with the Network Camera ’s default IP address. 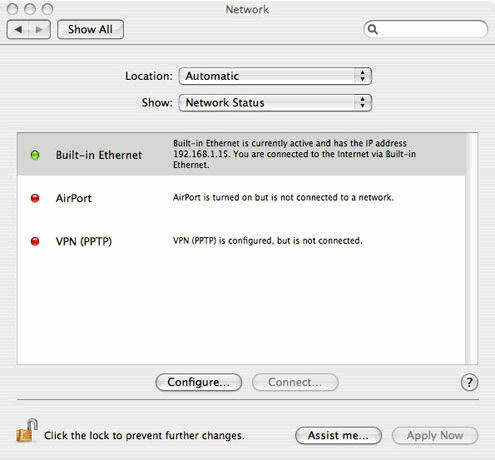 This dialog box should show you all available networks you can use from your Mac. As the Network Camera is connected to your Mac using a cable we must choose the ‘Built-in-Ethernet’ option. 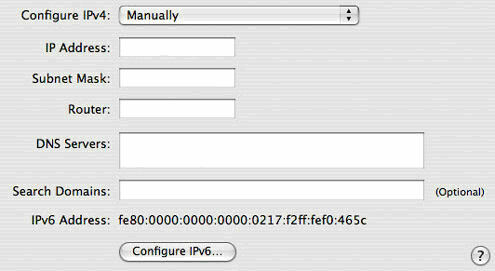 Select ‘Built-in Ethernet’ and click the ‘Configure’ button. This will open the following dialog. DNS Servers: Not important at this stage. Search domains: Optional, leave blank, not important. Click ‘Apply Now’ to save your changes and your Mac should now be set up ready to configure the camera. You should now be able to connect to your Network Camera using the Mac. 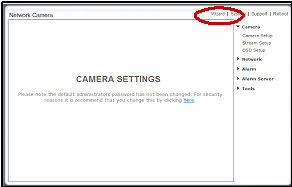 Select the ’settings’ option to enter the camera’s setup pages. Copy setting as shown in the screen shot above. Click on “Wizard” at the top right of the screen.